Laurence and Eng Neo are leadership coaches, mentors, facilitators and co-founders of BP Coach Training. With over twenty-five years of leadership experience with MNCs across Asia Pacific and managing SMEs, they currently help organizations transform and adopt high-performance culture. Both Laurence and Eng Neo are International Coach Federation (ICF) certified coaches as well as Certified Culture Change & Leadership consultants. They are also co-authors of the book “Leading High-Performance Team – Coaching in the Asian Culture”. Our values are based on the AGILE principles. Giving back to society and the community is part of our social responsibility. Teaching and guiding the next generation is important to the growth of any society. Being honest in our daily dealings, guided by our values and moral principles is the essence of our company culture. The importance of lifelong learning is integral in this fast changing environment; that will ensure our survival in the future. Our success can only happen if we can put ourselves in our client’s shoes and understand from their perspective. Laurence Tan is a Leadership Coach/Facilitator and Director of BP Coach Training Pte Ltd. He has more than 25 years of industry experience. These include roles in General Management and Sales/ Technical Management with US Multi-National Companies (MNCs) in the High-tech industry (IT/Engineering), as well as an Entrepreneur in the Retail/Distribution and Management Consulting/ Coaching industries. Well recognised as a “Difference Maker”, Laurence currently dedicates his time to help professionals and businesses excel in their goals through his Coaching and Training services. He graduated with a Bachelor of Engineering from National University of Singapore and an “Asia International Executive Program” graduate from INSEAD Business School. 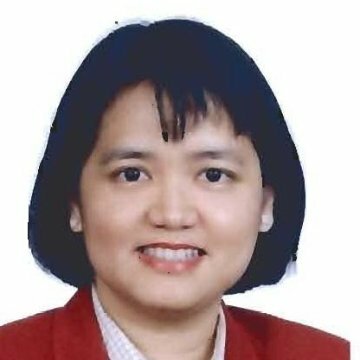 Laurence is a Certified SkillsFuture Mentor, Enterprise Singapore and an International Coach Federation, ICF Certified Coach. He is also a Certified Trainer & Assessor (ACTA) and Curriculum/Courseware Developer (DACE) from Institute for Adult Learning. As a Certified Organisation Culture Change & Leadership consultant, Laurence conducts Organization Culture Survey and helps organization transform into high-performing organizations. In his role as SkillsFuture Mentor, Laurence help local SMEs develop future ready employees to meet their business goals. He works with the Owners/HR/Leaders to perform analysis, design and development of the organizational learning and development systems and processes. Leveraging on his leadership coaching skills, he has coached and mentored SMEs leaders in various industry including Finance, IT, Engineering, Chemical Distribution and Manufacturing sectors. As an Executive Coach/Facilitator, Laurence has coached and trained many leaders including CEOs, MDs, VPs and Head of Departments in large organisations, MNCs and SMEs. He is able to create awareness with the leaders and empower them to achieve their goals and improve their performance. His ability to build trust, coupled with his extensive leadership experience helped to increase the clients’ confidence, leading to many successful engagement. Eng Neo is the Leadership Coach, Facilitator and Director at BP Coach Training. She dedicates her time to coaching and training Senior Executives/Leaders/Business Owners to unleash their maximum potential, effect change and improve organizational performance. She is a seasoned Business Leader & practical Coach with more than 25 years of experience working with clients in multiple Industries and Segments (Large Enterprises, SMEs and Public sector). Her more than 15 years of Leadership experience spans across General Management, Business and Sales Management in Corporate Multi-national companies (MNCs) such as IBM, Microsoft as well as Small and Medium enterprises (SMEs). With her Results-focused approach, Coaching & Collaborative style, she has guided many individuals and teams to great Successes. For her contributions, she has been recognized with numerous Achievement awards such as Asia Pacific General Manager’s award, Asia Pacific Passion for Growth, Top Leader award and more. She also supports the nationwide SkillsFuture initiative as a SkillsFuture Mentor to SMEs. In this capacity, Eng Neo works with SMEs to develop future ready leaders and employees. With her experience and understanding of their business needs, she helps them to develop the relevant people competencies to achieve their goals. Eng Neo is an ICF Credentialed Coach (International Coach Federation) and a Certified Master Performance Coach. She is also a certified Facilitator, Assessor and Curriculum Developer (ACTA and DACE certification from Institute for Adult Learning). Eng Neo is also a Certified Culture Change & Leadership Consultant (OCAI). She graduated with a Bachelor of Engineering (Hons) degree from the National University of Singapore and has completed Management Education at the Harvard Business School and Boston University (School of Management) in the USA. 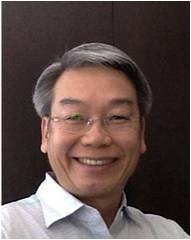 Wai K, MCC, is the Vice Chair of ICF Global Board and brings with him over 30 years of leadership experiences, with 15 years at senior management level. He has trained and coached more than 10,000 leaders over his span of 20 years as a leader, coach and trainer and clocked more than 2500 hours of executive coaching experience working with large multinational clients within the region. He is also an ICF-accredited coaching skills assessor. Wai K has authored 2 successful books on leadership and coaching. His contribution to the coaching industry includes holding the chair as President of ICF Malaysia Chapter (2009-2014), Board Member of Asia Pacific Coach Alliances 2013. He is Hogan Certified and a graduate of Positive Psychology and VIA Character Strengths. 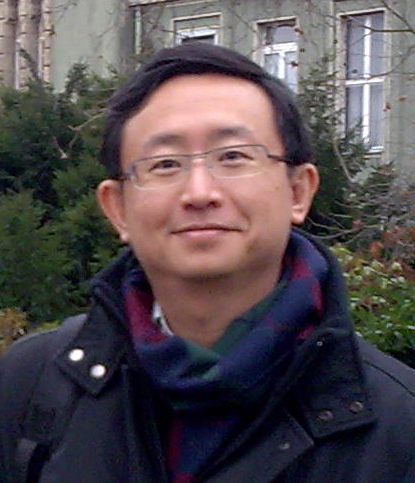 Wai K is currently the Vice Chair for ICF Global Board. He is able to provide the leadership views, expertise and feedback from the coaching community to help drive the direction of ICF for this region. In addition, he is at the forefront on the latest development in coaching at ICF, and have been instrumental in designing and implementing the latest coaching philosophy and techniques to the programme.